St Francis Xavier’s Cathedral is considered a major Australian work in the Gothic Revival style. 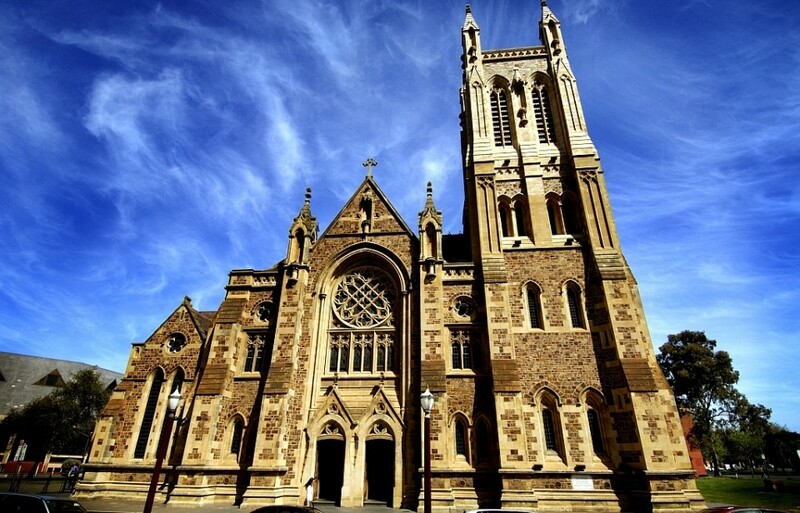 St Francis Xavier’s Cathedral is the oldest Catholic Cathedral in Australia and the heart of Catholic life in Adelaide. Located in Victoria Square, the building is considered a major Australian work in the Gothic Revival style. Much has been done in recent years to restore the building’s exterior. Now, the focus of restoration work is moving to the interior of the church, including upgrading the church’s organ. The proposed $5 million Cathedral restoration project will include the installation of the renowned Casavant Frere pipe organ, improved lighting and acoustics and changes to the sanctuary. Detailed project plans will be released in the near future. Please help the restoration work of the interior of the church, including upgrading the church’s organ.